The English soccer team Arsenal has arrived in Baku for an October 4 match against Azerbaijani team Qarabag. But they will be without one of their stars, midfielder Henrikh Mkhitaryan, a native of Armenia. 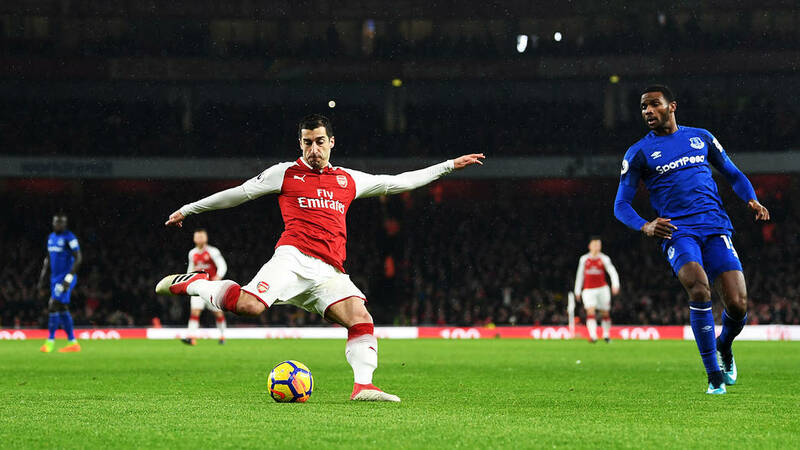 The question of whether or not Mkhitaryan would travel with his teammates was one of the major storylines ahead of the match. As a rule, Azerbaijan does not allow Armenians to visit, regardless of their passport, the result of the countries' bitter, ongoing conflict over the territory of Nagorno-Karabakh. But the Azerbaijani authorities do make exceptions for Armenian visitors in some special cases, including sports competitions. Ahead of the match, Azerbaijani authorities insisted that Mkhitaryan would not be denied a visa on the basis of his nationality. At the last minute, though, it was announced that Mkhitaryan would not be making the trip to Azerbaijan. Arsenal's head coach, Unai Emery, was vague when asked about the Armenian's absence in Baku. “He cannot travel here,” Emery said at a pre-match press conference in Baku, ahead of the group stage match in the Europa League championships. “We are here, the players with the best mentality and preparation and possibility to play tomorrow.” Reporters pushed Emery to address the Nagorno-Karabakh conflict between Armenia and Azerbaijan, The Guardian reported, and Emery (wisely) sidestepped the issue. Plenty of Armenian athletes have in fact traveled to Azerbaijan in recent years for sports competitions, including the 2015 European Games in Baku. The Armenians in that event were frequently booed by local fans, but there were no security incidents. More recently, however, Armenia's judo team skipped the sport's world championships in September, held in Baku, for security reasons. Mkhitaryan himself skipped another match in Baku, in 2015, when he was with a German team. Holding out Mkhitaryan comes without much cost, as Arsenal are heavily favored over Qarabag. They could face a tougher decision down the road, however, if they continue to advance in the tournament: the tournament's final will be played in Baku in May 2019.